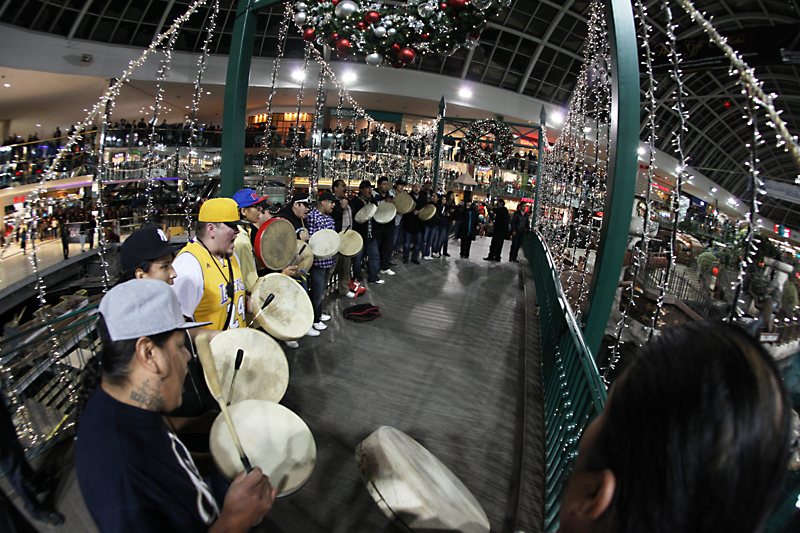 At 6:00 pm on Tuesday, Dec. 18th a Flash Mob Round Dance broke out at West Edmonton Mall's water feature surrounding the replica of Christopher Columbus' ship the Santa Maria. 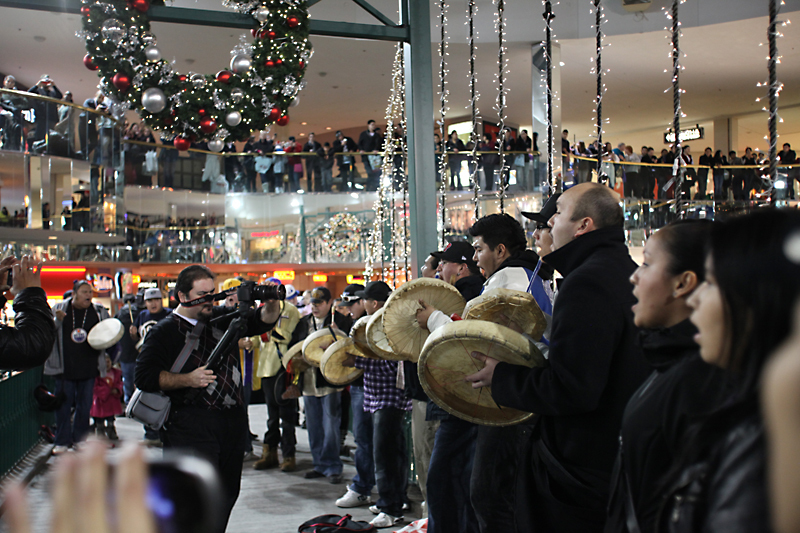 The event was part of the Idle No More movement to help draw attention to the issues facing Canada's Indigenous people in a peaceful and positive manner. Before 6:00pm you could see many people trying to look inconspicuous as they took their place around the mall and waited for the signal to begin. 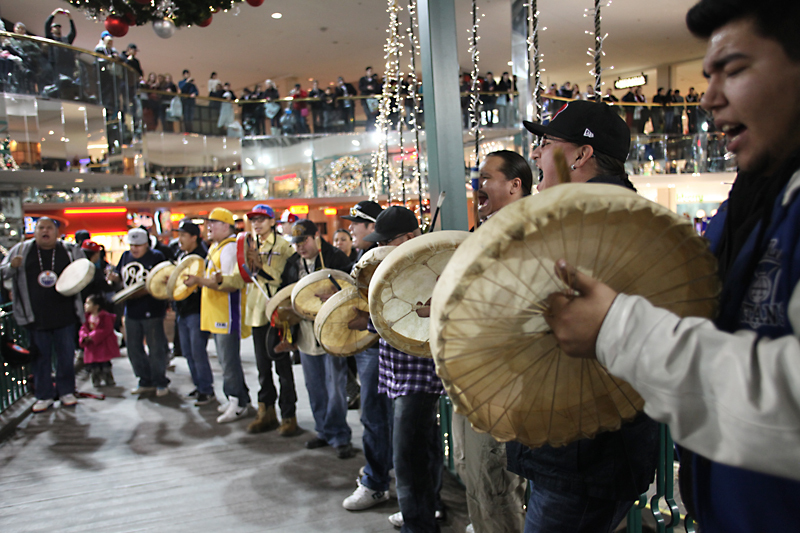 In all, hundreds of people took part and hundreds more were witness to the power and grace of the drumming and singing during one of the busier times for Canada's largest shopping mall. 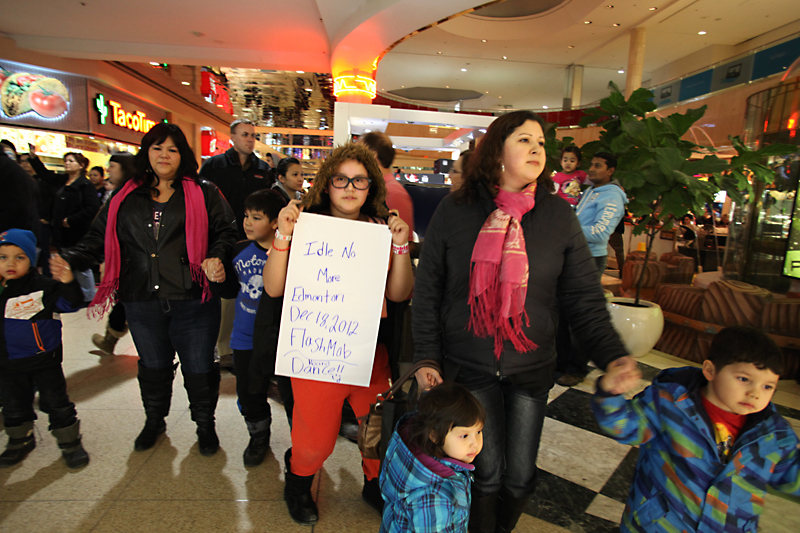 Our photographer Brad Crowfoot was there and he took photos as well as video.